WASHINGTON/SINGAPORE (Reuters) - The United States and China will hold a delayed top-level security dialogue on Friday, the latest sign of a thaw in relations, as China's vice president said Beijing was willing to talk with Washington to resolve their bitter trade dispute. China and the United States have both described last week's telephone call between Xi and Trump as positive. Trump predicted he'd be able to make a deal with China on trade. 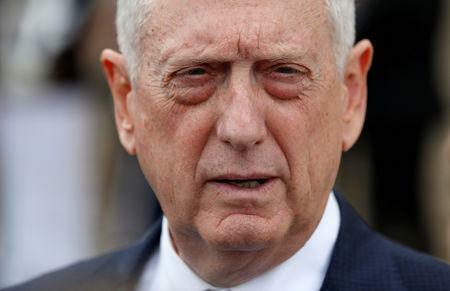 Mattis had been due to hold talks with Wei in Beijing in October, but those plans were upended after Washington imposed sanctions on China's People's Liberation Army for buying weapons from Russia. Mattis did meet Wei in Singapore on Oct. 18 and told him that the world's two largest economies needed to deepen high-level ties to reduce the risk of conflict. "Both China and the U.S. would love to see greater trade and economic cooperation," Wang told the Bloomberg New Economy Forum in Singapore. 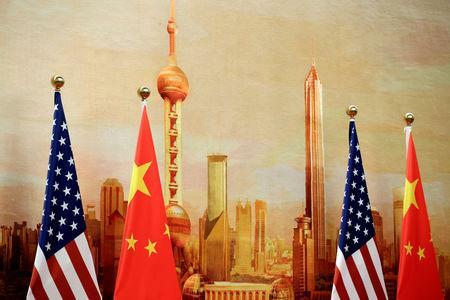 "The Chinese side is ready to have discussions with the U.S. on issues of mutual concern and work for a solution on trade acceptable to both sides," he said. "The world today faces many major problems that require close co-operation between China and the United States," Wang said. The trade war, which has seen both sides impose tariffs on billions of dollars worth of the other's imports, is beginning to hurt China's economy and has battered Chinese shares and the yuan currency. "I think both sides are optimistic ... more optimistic after the call last week that took place, that some kind of a solution can be reached," he said.